With the obvious lack of cocktails and sunloungers, because it is an inhabited island, Villingili – but a 10 minute ferry ride from Male, still has the feeling of being on a resort writes Donna Richardson. Perhaps that’s because it used to be one. It was gifted to the community as a commuter village to solve overcrowding in populous Male’. Offering foliage and wide, open sandy streets, plus a decent house reef, this is a perfect antidote’ to the big smoke. From the moment you step onto the island, you are astounded by its greenery and quaintness. 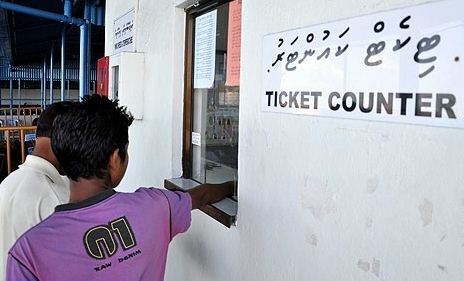 It feels like you are miles away from Male’, and that’s what makes it appealing to many tourists who are forced to spend a portion of their holiday in the capital, as they await transfers to the resorts. First and foremost, it is an accessible island where you can enjoy peaceful ‘picnics’ and mix with the locals on their own turf. There are two beaches to choose from for your picnic. One, facing the house reef or another facing the skyline of Male’. Upon alighting at the ferry terminal, stop to grab a drink and a snack at the quaint open air shop, then turn right and you emerge into a bustling port filled with trade ships and small dhoni’s and the occasional safari boat. One of the island’s main attractions is its excellent house reef – a haven for snorkellers. Alighting from the ferry continue on from the harbour and enjoy one of the best house reef’s in Male’ outside of a resort. Under the water, some of the most beautiful fish and marine life can be found in abundance. During a recent snorkelling trip a graceful green turtle glided over the drop off point, as multiple species of fish zipped in and out of the rocky coral outcrops. In and out of the swaying sea cucumbers, surgeon fish, butterfly fish, triggers stalk and an abundance of other marine life species can be found here, all resilient to its environment. Mind. if it’s sunbathing you want –no bikini’s are allowed – even strappy tops can cause a scene. This is a local island and they will call the police on you – as one American journalist found when she innocently tried to sunbathe. If you turn right instead and wade through the jungle outcrop you can see local life in action and be rewarded with a view of the capital’s skyline in the distance. Marvel at how it is possible to slip a pair of fins and swim out to the edge of the reef, what a difference to Male’ where there is nothing but a concrete sea wall. Locals are curious of foreigners and want to say hello constantly. Constant reminders that this is a patriarchal society are evident in the pestering nature of the local men to western women. There is an older population who are conservative and the local women can only wade in their burka’s (known affectionately as burkinis). Meanwhile, it is interesting to note that, within just a span of a decade Villingili has evolved a unique cultural identity: its “natives” now feel an identity apart from Male’. The atmosphere here is quite different from that of the capital’, from an environmental perspective. More than a decade of settlement has seen the jungle vegetation disappear but for a few ancient trees to give an interesting mix of rural-suburban mix taking some of Male’s urbanness and the best of more remote islands’ naturalness. You won’t see many cars on the island, except one licensed taxi. That’s because the previous administration banned the use of motorised vehicles, forcing people to use their two legs to get around with. For an island less than a couple of km squared this is not too arduous. In fact it can be very pleasant. 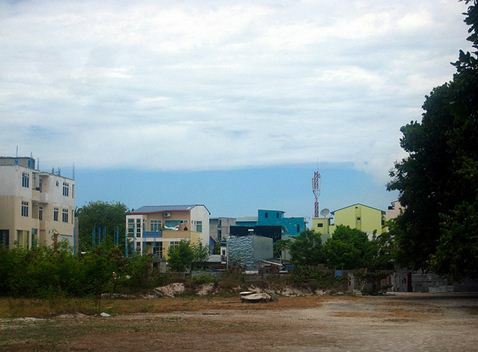 An advantage of Villingili over Male’ is that it enjoys cheaper rents. A serious shortage of housing in the capital makes this satellite island perfect for families and those who prefer a quieter life. Of course there is a more conservative culture still lamenting the loss of the former dictator, but also a young vibrant crowd who embrace changes and democracy. As within all of the Maldives there is poverty evident in some of the rags worn by the locals and the anti-establishment graffiti adorning some of the buildings with tags from local gangs. Having more space than the capital, it also draws expats and locals from the city on day trips. “Here, it’s not exactly rural but since I get to see features that are common in remote islands, I prefer living here in Villingili and I try to stay away from Male’ as much as possible,” he said. Many islanders spend their time resting in the swinging undolis, while children play in the streets amongst the wild cats, and kick footballs about for entertainment. 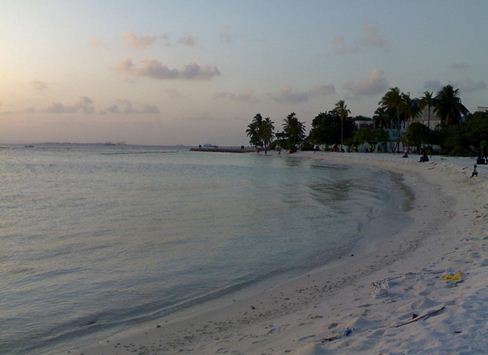 On the island there are shops and basic services including schools, and also the Maldives’ only orphanage. Of course there are drawbacks too, as the infrastructure of Male’ intrudes on this lost paradise, since is less than a few kilometres across the water from Thilafushi (Rubbish Island) where all the nation’s waste is incinerated. Unfortunately, at some times of the day there is a plume of smoke reminding you how close this island is.Occasionally the inevitable foreign objects in the water, made worse by local attitudes to waste disposal. Still, the marine life is resilient and has seemingly adapted to this. Corals have symbiotically found a way to grow around the trash, yet litter is endemic on the local islands. The smoking “Thilafushi”, or “rubbish island”, where the atoll’s waste is disposed of, only shows to the discerning traveller that indigenous peoples are being maltreated in the quest for luxury and Robinson Crusoe experiences craved by guests of the country. Yet trash has to be disposed of somewhere. 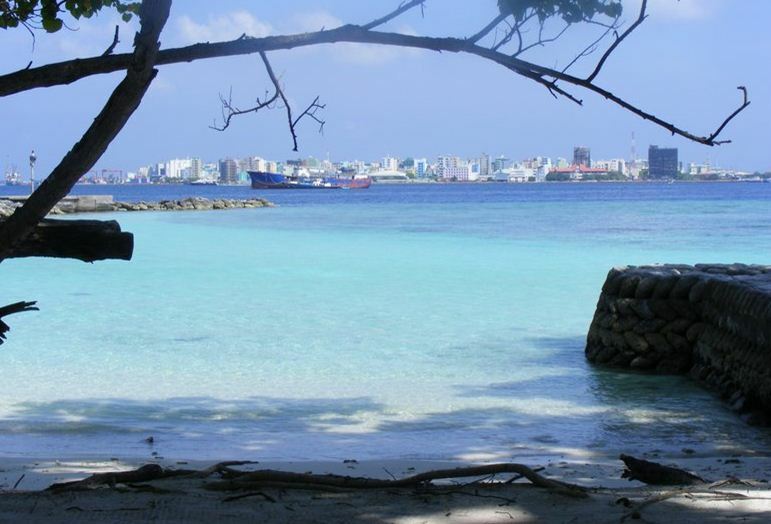 Still, as a satellite town to its older and uglier sister Male’ (and the fifth district of the capital), it is planned to link the two via a causeway under the Eye of the Maldives Project, so visitors must take in its unspoilt beauty now before it becomes an adjunct of the capital. Over the water, the capital has become so congested that pedestrians are no longer given right of way by motorised vehicles and walking on a street in Male’ you have to dodge all the cars and zombie-like populace. At times it can be downright scary. It takes imagination to make your way through without a bruised shoulder. Yet In Villingili, you can walk in the middle of the street without bother. How to get there? A single journey costs 3MRF or 6MRF for a return trip. 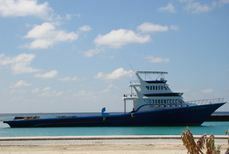 Villingili terminal is located on the far western side of the capital close to the Indira Gahndi Memorial Hospital (IGMH). Snorkelling, greenery and real trees. A chance to see local life on your own terms and to get away from the capital. I visited Villingili in 1986 and 1989, in those days still in use as a resort. It’s obvious so called journalists (even if they work freelance) these days are not interested in reality and seem having difficulties facing the facts! In case a reply is a bit negative it is just being deleted! Funny! I first visited the Maldiven in the early 1980’s, worked with Thor Heyerdahl (ring any bells?) 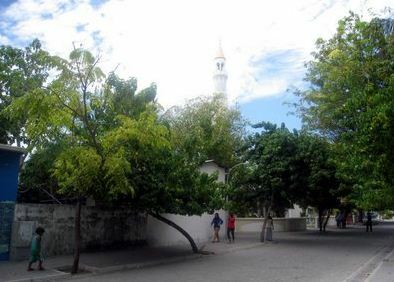 all over the atols (North to South), still several of the teams findings are to be seen at the Historical museum on Malé. I also was there during the coupe December 1988…. I just wanna make clear that you most probably only want to see fairytails! Be real, do your job and put your nose into real Maldivian history starting with the former president Gayoom…..and try to check his bankaccounts…and that of his relatives…then you’ll understand about the truth and the lives and future of the Maldivian people, which are loved by me! It’s not about the blue skies, clear waters, palmtrees and the holiday-stories of tourists when they returned home again….Goodluck with your true investigation! Hi, I am not sure what you mean? I have not checked my comments for a long time, due to being back in the UK and having a day job now, so sorry if I have not replied. I try to give the real picture and I have commented on many social issues including the coup as an occasional columnist in Minivan News.I have left the Maldives for a year or so, but try and keep up to date with what’s happening. I try and keep the politics away from this tourism part of the website, but if you read the tab – Maldives People and Real Life I have started to write and comment about some of the issues including the Mcdonaldisation of the Maldives. If you have any stories I can chase please feel free to email me.